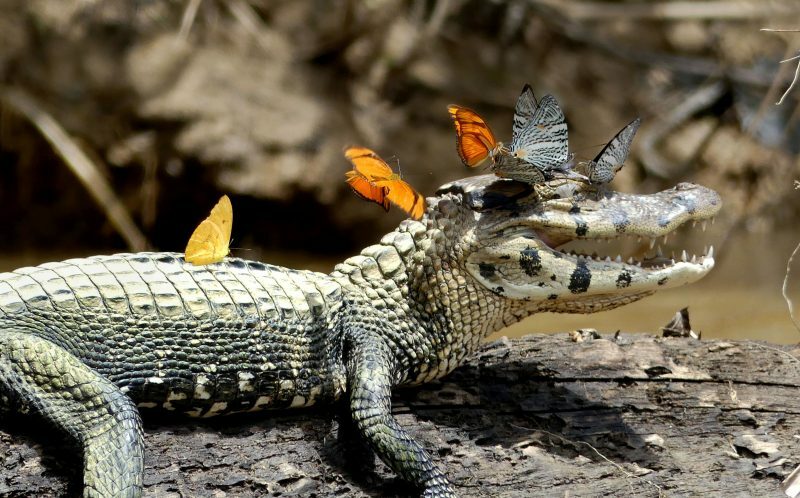 This caiman left social media devotees green with envy when he flaunted nature's version of the butterfly crown filter in these perfectly-timed snaps. 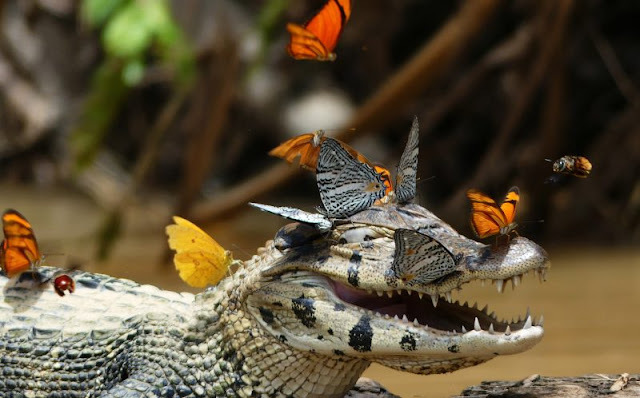 Surrounded by a kaleidoscope of colourful butterflies, the reptile couldn't help but grin as he sunbathed on the bank of the Los Amigos River in south-eastern Peru. In one shot, he tilted his head in a classic selfie pose - but he didn't need any help from the popular butterfly Snapchat filter which has been sweeping the internet. 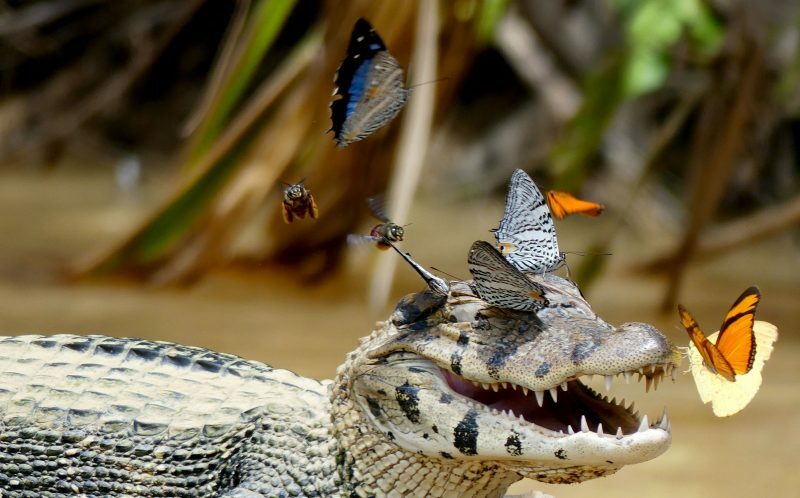 The stunning pictures were snaps were taken by Australian research scientist Mark Cowan during a trip with his colleagues from Michigan State University. The New Scientist has previously reported that bees and butterflies sometimes feed on protein-rich crocodile tears when salts and minerals are hard to find. 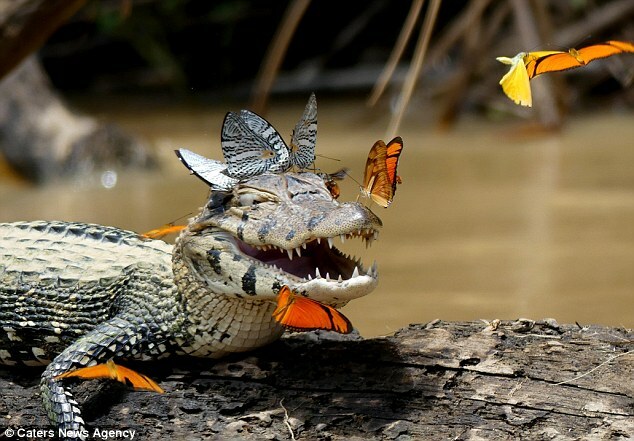 Caimans are a type of reptile that are closely related to alligators and crocodiles. 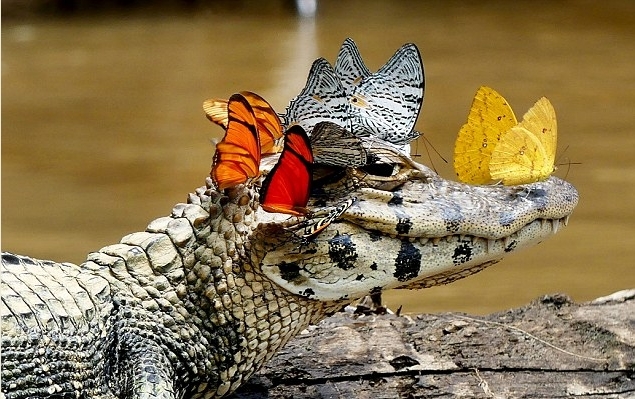 There are six species of caiman that can be found in Puerto Rico, Cuba, Brazil, Ecuador, Peru, Columbia, French Guyana. 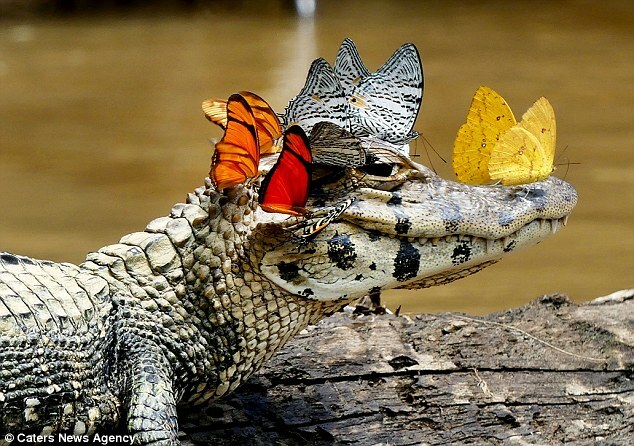 Caimans live in swamps, flooded savannas, mangroves, slowly moving rivers and lakes. 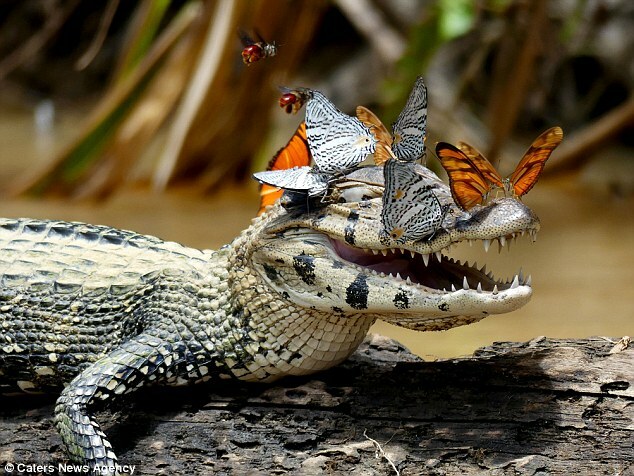 Responses to "Caiman is so happy being surrounded by butterflies he can't stop smiling"